We just wanted to thank you for installing our Glendon BioFilter septic system last week at our new home under construction. I know it was a tough job putting in those septic tanks in the side yard it was a pretty tight spot, but seemed to work out fine. Because the soil at our site is not the greatest, we would not have been able to build on it with out the Glendon System; the soil simply wouldn't support any other type of septic system, and the County wouldn't permit anything else but the Glendon. So thanks to you and your technology, we are able to build our dream house on the lot we wanted. Our office has approved close to 50 Glendon BioFilter units in Mason County, many on extremely small parcels with significant soil and drainage limitations. Based on conversations with septic installers and designers, Mason and Kitsap health department staffs, and homeowners, these systems appear to be working well at this time. 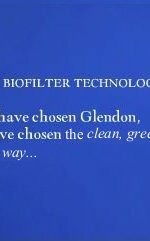 It is our department's opinion that Glendon BioFilter units add significantly to the array of options available to homeowners for developing difficult sites.